Week 6 of the 2013 NFL Season gives us the awaited edges matchup between the undefeated Denver Broncos and the Jacksonville Jaguars, while the New Orleans Saints try and make the most of the weird season the New England Patriots are having. 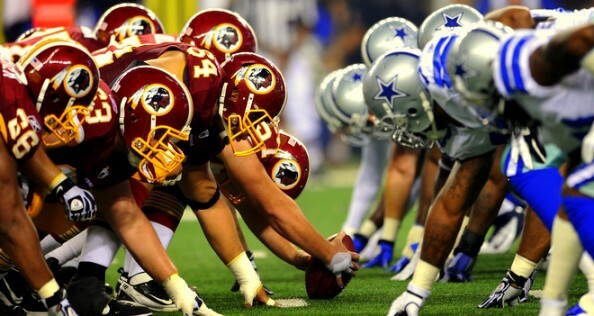 In the prime time focus is the struggling NFC East, as the Washington Redskins try and upset the much better Dallas Cowboys. 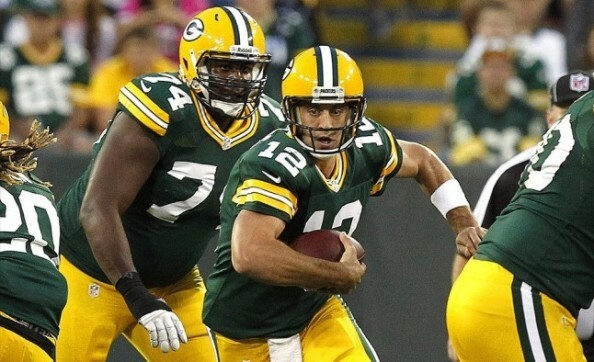 In other games worth a bit of focus, the Green Bay Packers hope to get their first road win of the season against the Baltimore Ravens, while a very interesting defensive battle between the Tennessee Titans and the Seattle Seahakws should also be one of the weekend gems. The Bills are down to Thad Lewis on their quarterback depth chart, which means that the Bengals, who have mostly done well at home this season and usually against more decorated quarterbacks, shouldn’t have the same kind of problems we see from them when they’re on the road. The Bills have too many problems on defense for Andy Dalton to screw this up, and the Benglas should win this one. It’s quite surprising to see the Browns at 3-2, but they do have a pretty strong defense and an offense that hasn’t made too many mistakes over the last three weeks. The Lions are coming in without wide receiver Calvin Johnson, and unless Reggie Bush has one huge performance, the Browns are going to keep on surprising, winning a fourth consecutive game. The Raiders have won three in a row against the Chiefs, but they’re going to need Terrelle Pryor at his most elusive in Arrowhead against the best pass-rushing team in the NFL, highlighted by Justin Houston and Tamba Hali. The Chiefs are excellent against the pass, which might mean we’ll see a less traditional game from Pryor in terms of his passing, but the Raiders don’t have the kind of secondary that’s good enough to take advantage of Alex Smith mistakes. This is it for Ron Rivera, who isn’t going to last the season if the Panthers lose once again. The Vikings are coming off a bye week, but it’s hard to say what Adrian Peterson will be like after the tragedy he experiences this weekend – hyped up for the biggest game of his life or out of focus, understandably. In any case, the Vikings’ big problem, quarterback, isn’t facing a secondary that can cause him too many problems, which should mean a home win. The Packers are going to keep on missing Clay Matthews, meaning big problems for them. However, the Ravens have been struggling on offense and it’s hard to know what they’ll be getting from the running game against a good run defense, even without Matthews. The Packers haven’t won on the road this season, and it looks like this time, through the superior play of their quarterback, will be their chance to finally be above .500 this season. Two teams that are a mess, but the Texans, unlike the Rams, actually have a very good defense. Sam Bradford and his offensive line haven’t been playing well unless it’s against the weakest of opposition, and even if Matt Schaub hasn’t recovered from playing awfully so far this season, the Texans will simply turn to their running game, averaging 134 yards per game to end the losing streak. A game everyone is interested in because for gambling purposes. The Jags are the worst team in the NFL by far, scoring only 10.2 points per game and getting only 252 yards of offense this season per game. Their defense allows almost 400 yards per game. Peyton Manning is leading the Broncos to a perfect season with over 490 yards per game. It’s hard to see anything but a huge blowout happening in this one. A very interesting defensive battle, with the Titans giving up only 320 yards and 19 points per game, with the Seahakws doing slightly better at 16.2 points and 304 yards per game. The key will be if the Titans can get Wilson to try and throw out of the pocket, and if the Seahawks do a bad job in protecting him like they have over the last two weeks, their second loss of the season is coming soon. Drew Brees has won all of his encounters with Tom Brady, but there’s more than just a quarterback duel in this one. Without a proper end zone target, Brady has been doing awfully this season, unlike Drew Brees who has Jimmy Graham to throw to. The Saints are an excellent blitzing team, and if they manage to rattle Brady early, they’ll win in New England for the first time in over 13 years. The Cardinals have one of the best run-defenses in the NFL (3rd in yards per carry), and the Niners haven’t been doing anything but run in recent weeks. The problem for Arizona has been their offense and especially Carson Palmer, throwing nine interceptions so far this season. Without an offensive line that can get a running game going or protect Palmer, the Cardinals are going to have a problem getting their defensive strengths help them in any way. The Cowboys don’t really understand how they’re only 2-3 this season, getting decent protection from Romo and a consistent running game from DeMarco Murray. However, there is a matter of timing with this team, usually starting out very strong before finding a way to mess it up later on, be it giving up a big play or Romo throwing an interception (only two this season). Robert Griffin III is a different quarterback than he was last season, leaving Alfred Morris quite alone in the running game. Combine that with the worst defense in the NFL, and the Redskins won’t be getting a second win this season in Dallas. The Colts have two wins over the cream in the NFC West, which means that playing against Philip Rivers and his awful offensive line should be another example of their underrated defense getting the job done, while Andrew Luck has the chance to keep his arm rested and let the running game, averaging 142 yards per game against a defense that allows 117 per game go off to secure another win.